NO WAIT BOOT-UP, BETTER PERFORMANCE, RENEW YOUR PC WITH INLAND PROFESSIONAL SDD. Get up to 520MB/s sequential read speeds for no-wait boot-up, shorter applications load times and quicker data transfer. Incrediblely load and run games, videos and photos in an instant. High performance flash-based SSD generally require half to a third of the power of HDD. SDD have no moving parts to fail mechanically, making it less likely to fail than typical hard drive. It is also cooler and quieter, shock, overheat and vibration resistance, no noice. 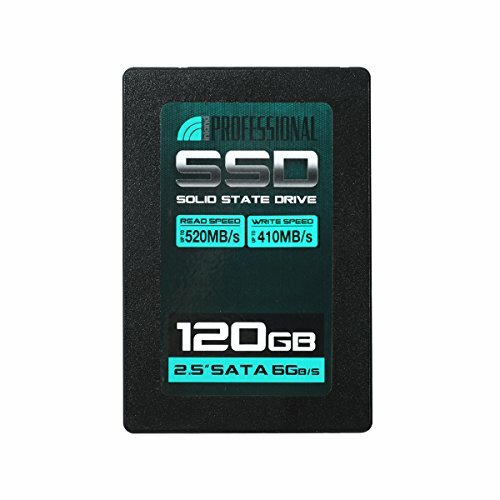 Upgrade your desktop or laptop with a fast, reliable solid state drive from a USA Well- Known Retail Store Company Micro Center, your old computer will act and feel like a new machine with faster boot-ups, shutdowns and app response times. If you have any questions about this product by Inland Professional, contact us by completing and submitting the form below. If you are looking for a specif part number, please include it with your message.